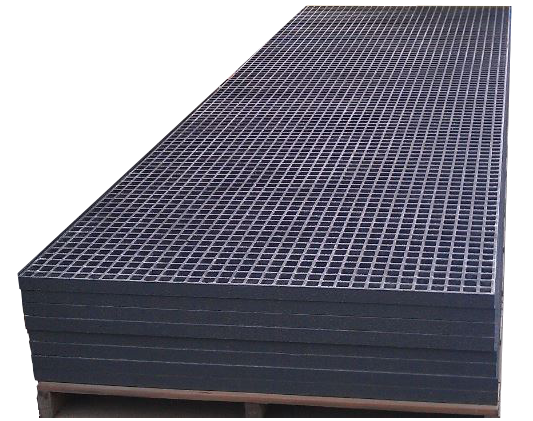 Mini-Mesh Fiberglass Grating has all the benefits of our standard Molded FRP Grating with a smaller mesh size. 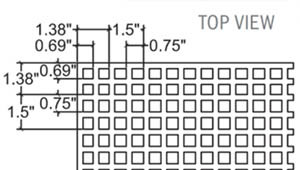 Also known as Micro-Mesh or Mini-Grid, our Mini-Mesh panels are perfect for applications that require less light or water to pass through the grating. 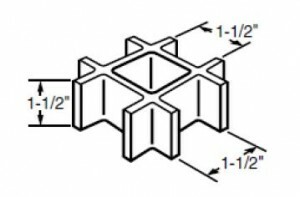 Mini-Mesh Molded Grating bearing bars are spaced on ¾” centers creating ½” x ½” square openings. Micro-Mesh is close to twice as heavy as 1.5” square mesh grating as there are twice as many bearing bars per square foot. 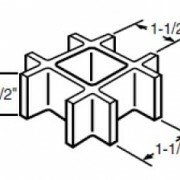 The additional bearing bars add more strength to each grating panel, so a mini-grid panel will have less deflection than a standard-grid panel of the same depth. Looking for the strength of steel without the weight? 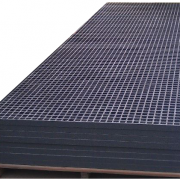 Our fiberglass-reinforced polymer (FRP) mini-mesh grating has the advantage. 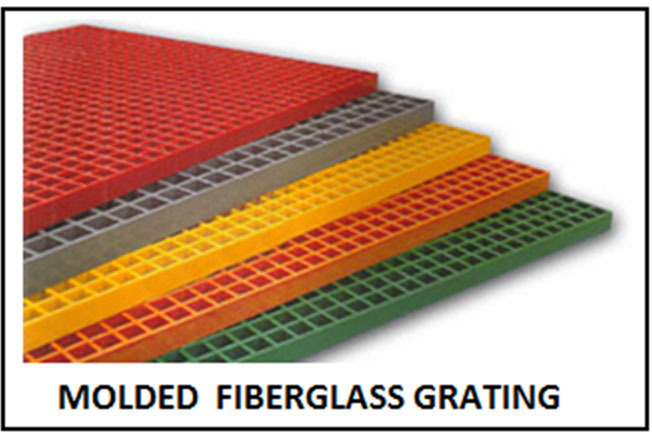 Our molded grating is corrosion-resistant, fire-retardant, and has low conductivity. It comes with an anti-slip coating for worker safety. And it’s easy to install with standard tools. Whether you need simple grating panels or a complete FRP system with handrails, stairs and platforms,we have the solution to match. 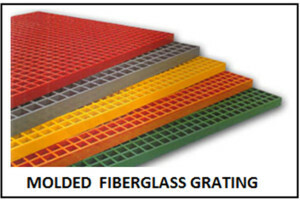 We stock mini-mesh fiberglass Grating in 1” and 1-1/2” Depths in Gray – Gritted. 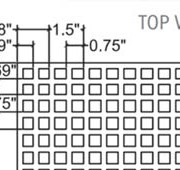 Panel Size: 4′ x 12′. 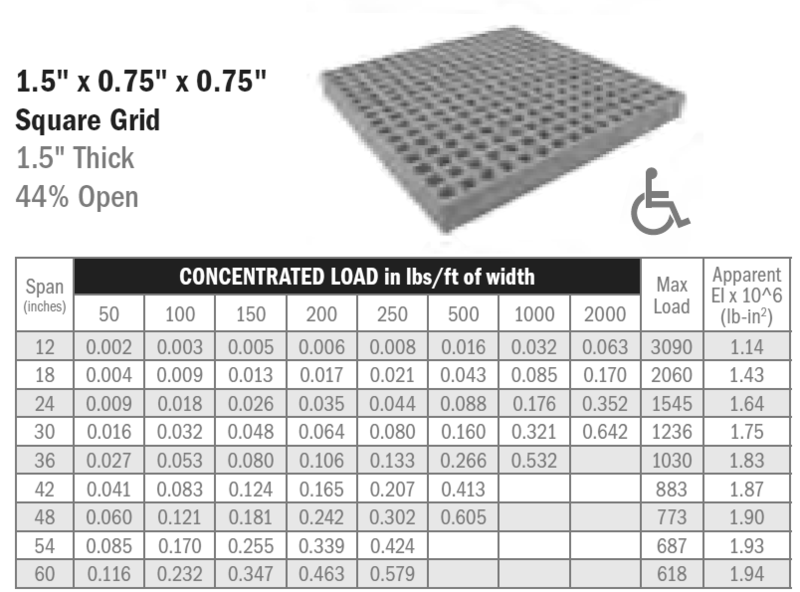 Call 1-877-7788 for pricing and availability or email sales@nationalgrating.com. Our pricing and service experts are standing by to help to find the best product for your project. With many varieties in stock and expedited shipping, we can supply your project with mini-mesh, micro-mesh, or min-grid fiberglass grating at the best possible price with the lowest freight charges.